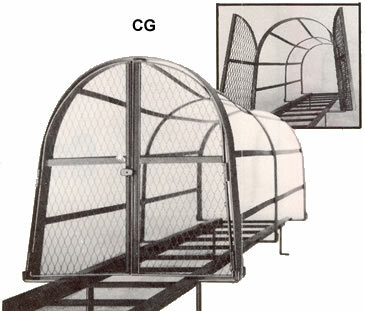 Standard cage lengths are available from 7 ' 6" to 27 ' 6". Cages are crated for shipping protection. Wider bottom flare openings are provided for easy entry. Hot dip galvanized coating can be quoted. lockable hasp for complete security. and One-Piece all Welded Steel from your source for material handling equipment.